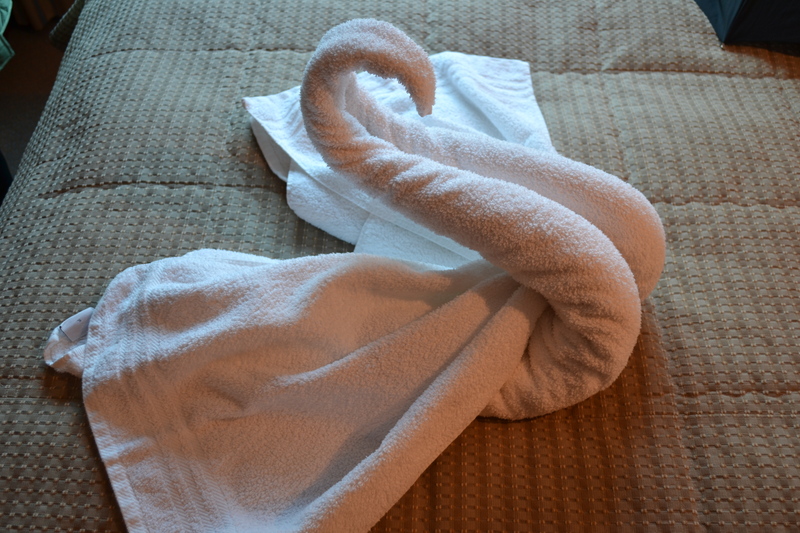 We understand that towel art is a “thing” now at hotels. 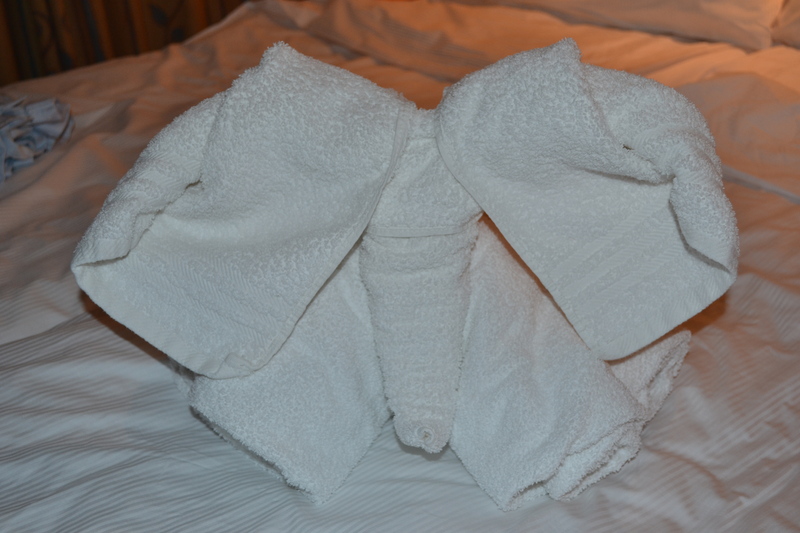 Nevertheless, we really enjoyed coming back to the room each day to find out what shape our towels might be in. 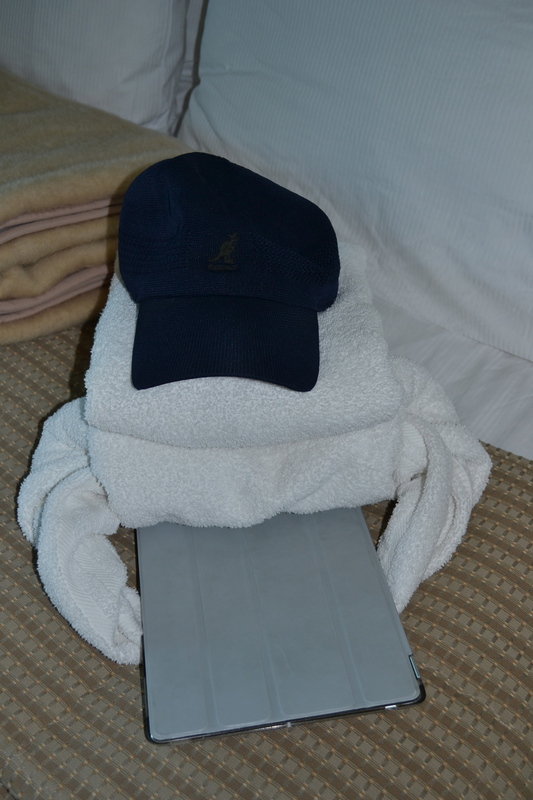 We especially liked when they used our items (hat, iPad, apple) to complement the towel art. 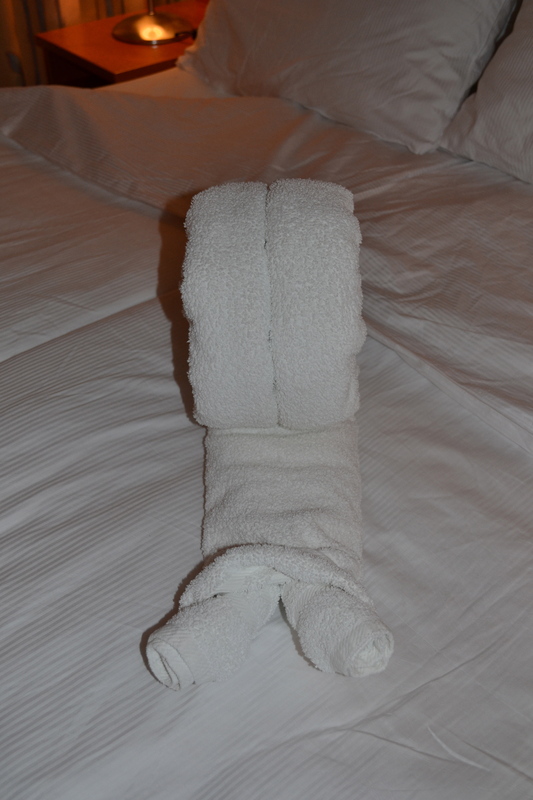 This is making a difference and creating customer satisfaction at very little cost! 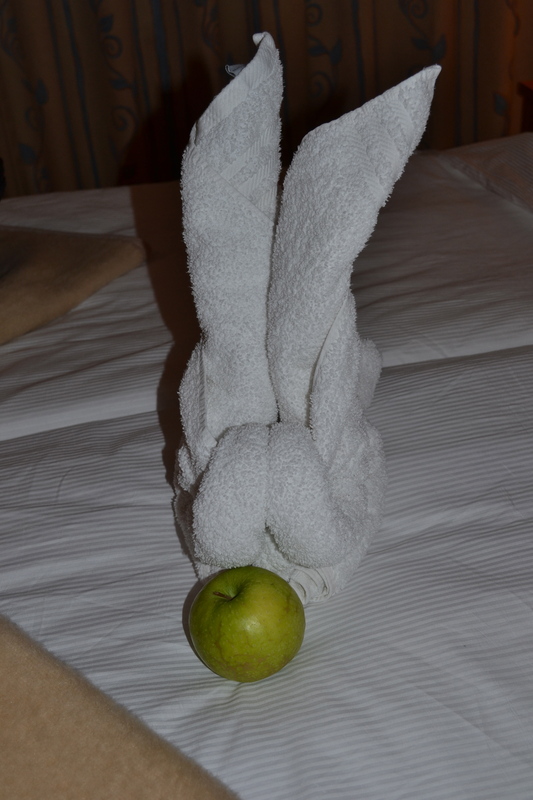 This entry was posted on Monday, April 1st, 2013 at 5:07 pm	and tagged with France, Vacation, Viking River Cruises and posted in France. You can follow any responses to this entry through the RSS 2.0 feed.